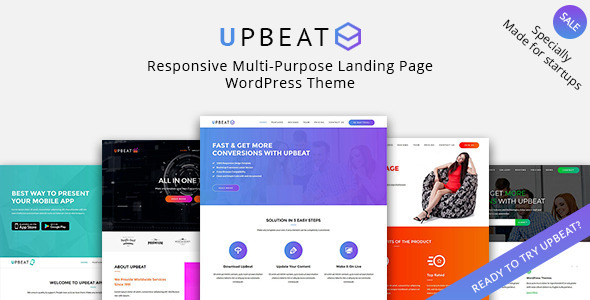 Upbeat is a modern multi-concept, minimalistic, easy to use, fast loading, multi & one page WordPress theme for building simple and beautiful business or personal site. Upbeat is perfect for your Startup, Landing Pages, Corporate Sites, Agency Sites, Portfolio and so much more. Use Visual Composer to craft your website with easy way.